BRIGHTSIDE ESTATES has 24 hour surveillance camera for added security, and assigned parking. 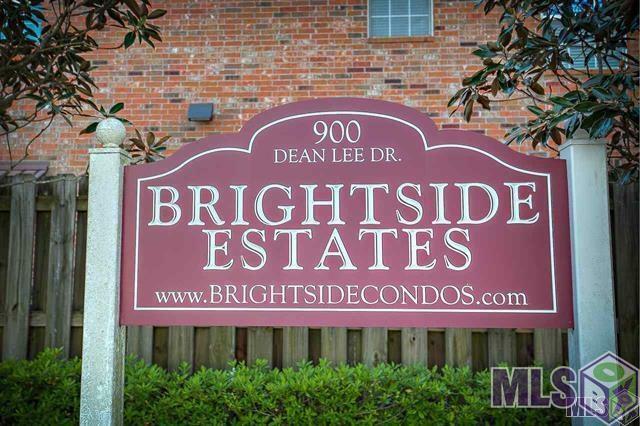 This great 3 bedroom condo show stopper has just been freshly painted, and has had beautiful new wood floors installed from the staircase to the living room and bedrooms. No carpet in this one. 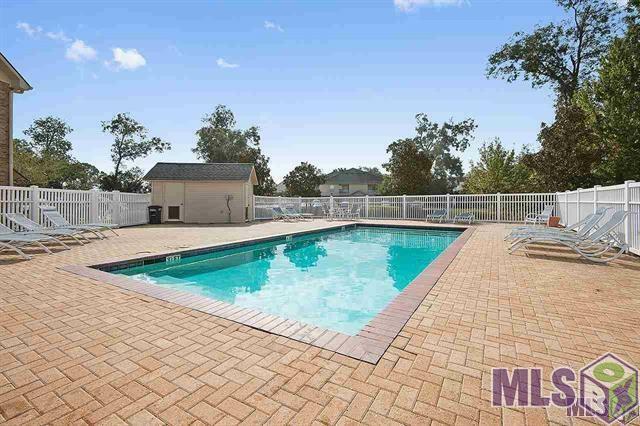 This unit is located in a prime location overlooking the creek and woods, running/walking track and pond. It is located toward the back where it is serene and quiet. Condo is on the LSU bus route. The condo has lots of windows to let natural lighting in with great views of the woods. Levelor blinds cover each window as well. It is immaculate and ready to move in. It comes with all electric appliances and has a full sized washer and dryer located in kitchen area along with a utility closet. The floor plan is very open with large den and breakfast bar. Lots of cabinets adorn the kitchen, with large pantry and good counter space. There are two bedrooms and two full baths on one level and another private bedroom upstairs. There is also storage room in the attic. The balcony next to kitchen overlooks the lovely wooded area, and has a storage room as well. It is a great place to sit outside and study while enjoying nature and some fresh air. 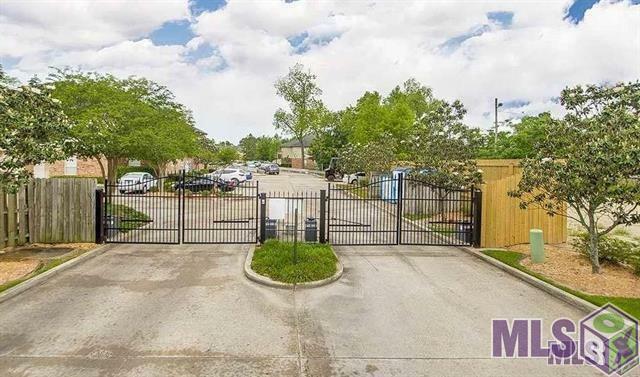 Brightside Estates is one of the most popular gated complexes close to LSU, and comes with lots of amenities such as: Volley ball court, BBQ areas, bike and walking paths, pond, pool, patio area, security gates and security cameras. 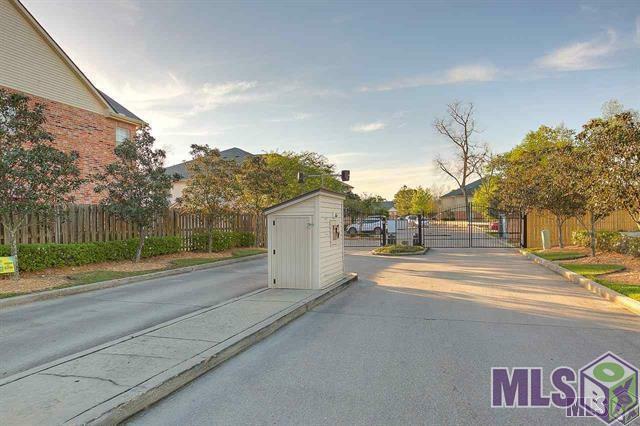 Convenient to lots of shopping areas, restaurants and LSU campus. The HOA management is run extremely well. THIS CONDO DID NOT FLOOD DURING THE 2016 FLOOD. Listing provided courtesy of Pro Sold Realty.© 2019 Multiple Listing Service of the Greater Baton Rouge Association of REALTORS®, Inc. All rights reserved. Information Deemed Reliable but Not Guaranteed.